McLane, McLane & McLane may periodically change, remove, or add to the content on this website without notice. The content may contain technical or typographical errors. McLane, McLane & McLane does not guarantee its accuracy, completeness or suitability and assumes no liability or responsibility for any errors or omissions in the content of the website. Your use of this website is at your own risk. Under no circumstances shall McLane, McLane & McLane, or any other party involved in the creation, production or delivery of this website, be liable to you or any other person for any indirect, special, incidental, or consequential damages of any kind arising from your access to, or use of, this website. Any information sent to McLane, McLane & McLane via email or through a contact form on our website is not secure and should be considered as being done on a non-confidential basis. McLane, McLane & McLane respects the privacy of every person who contacts our firm, and we will make reasonable efforts to keep information private, but because of the nature of unsecured internet communications and the absence of an attorney/client relationship, we cannot promise or guarantee confidentiality. 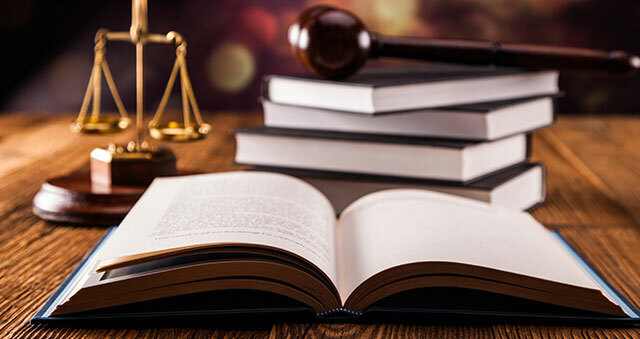 The lawyers at McLane, McLane & McLane are licensed to practice law only within the state of, Florida, but we may affiliate or form relationships with lawyers throughout the United States. McLane, McLane & McLane may refer prospective clients to other law firms located throughout the U.S., who form relationships with us, and are experienced in handling such cases. McLane, McLane & McLane has tried to comply with all legal and ethical requirements in creating this website. We welcome comments about our compliance with the applicable rules and will update the site as warranted, upon learning of any new or different requirements. As you navigate the McLane-law.com website, our firm may be collecting and tracking personal information, either by asking you to tell us something about yourself (such as your name, address or email address) or by using data-tracking software that tells us what parts of the website you have browsed. McLane, McLane & McLane may collect other information about you, such as your IP address, geographic information, the type of the web browser and operating system you use, and any other information that your web browsing software or Internet Service Provider (ISP) automatically provides to our website tracking software. We use the information about the activity on our website to help us know what information interests our website visitors. We may also use “cookies” to keep track of visitors. A cookie is a small file stored on the device you use to view our website. If your web browser allows, you may disable the placement of cookies on your device. Disabling the placement of cookies may prevent you from accessing or using portions of the website. We may disclose aggregate, de-identified data (i.e. stripped of information that identifies you) to third parties in connection with such analysis and/or marketing. (4) protect our rights or property.